Regardless of which class or deck archetype you enjoy, the point of ranked ladder is to climb. Hearthstone ranked ladder is a wonderfully fun yet incredibly frustrating place to spend your time. Depending on what rank you are on ladder, you could be stuck in a loop of playing Hunter, after Hunter, after Paladin, after Hunter. This can be frustrating and not fun. 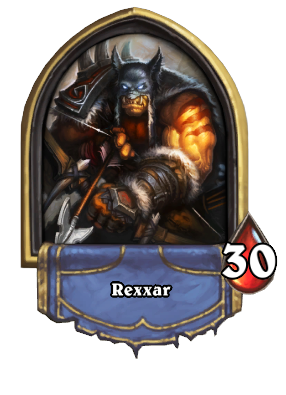 Players who have no interest in playing the top-tier Aggro deck (Hunter/Paladin at the moment) can feel like their class is useless due to how difficult it is for Control decks to deal with the current aggro meta. Regardless of which class or deck archetype you enjoy, the point of ranked ladder is to climb. You want to test your skills in an environment where the wins and losses matter, no matter how frustrating it may be. While Aggro really is dominating ranked play right now, the good news is there are a few decks for each archetype that are at the very least viable on ladder. Here is a look at some of the best decks to climb with when the new season starts on February 1. Secret and Spell Hunter are two of the most powerful decks in the game. These decks have been dominating the meta since Rastakhan’s Rumble released and brought with it Hunter Hero card Zul’jin. Zul’jin has an effect that causes you to cast every spell you’ve already cast previously in the game once again. This means every Secret or Spell the Hunter has played will once again be on the board, or at least their effect will take place on the board. If you’re playing as Hunter, this means your opponent will once again have to blast through your wall of secrets in order to touch your health. They will also have to deal with any creatures your spells have summoned throughout the game all over again. Secret/Spell Hunter is so dominant because many classes simply don’t have enough resources to deal with the amount of value they can generate with Zul’jin. Some Control decks like Priest and Big Spell Mage are able to hold off Hunter for a very long time, but sometimes even those decks run out of resources if the Hunter player is able to draw Zul’jin at the right moment. This deck is a great choice if you enjoy playing Hunter. While many in the community feel Hunter is in desperate need of a nerf, if you enjoy the class there’s really no reason not to play it right now. Even and Odd Paladin are two decks players are probably tired of seeing and hearing about it. Since the release of the Witchwood expansion and the introduction of the Odd/Even deck building mechanics, Even and Odd Paladin have sat comfortably near or on the top of the tier list. Part of the reason for their dominance is the improved Hero Power each deck is provided through the Odd and Even mechanic. Whether it’s the lowered cost of the Hero power or the improved version of the Hero Power, these Paladin decks are able to create an army of low cost minions incredibly fast. They’re also able to do this while losing very little value thanks to how low the cost of the Hero Power is. Usually, Odd or Even Paladin can use their Hero Power, and then still have enough mana leftover to make tempo dictating plays. While both Odd and Even Paladin play similar to each other, the decks do feel a bit different, and understanding this difference can help you decide which you’d like to play. Odd Paladin is a more straightforward Aggro deck with a game plan that involves rushing your minions into your opponent’s face as fast as possible. Even on the other hand is very much still an Aggro deck, but due to it being slightly slower it can feel almost like you’re using a Control deck. You’ll still be running low cost minions and amassing an army of Silverhand Recruits to chip away at your opponent’s life total, but you’ll also be running late game value cards like Lich King and Uther. If you’re a Paladin player and you enjoy the fast path to victory, either of this list should get the job done. Control Priest is a standout deck that nobody seen coming during the first few weeks of Rastakhan’s Rumble. Most of the Control game early in the expansion was being dominated by decks like Taunt Druid and the returning Cube Warlock. After Druid was nerfed however, Hunter and Paladin began to grow even more dominant in competitive play. The result was that people began to experiment more with Priest, and it’s a good thing they did. Consequently, Priest performs better than any other Control deck in the game against the current Hunter/Paladin Aggro meta. Most decks struggle against Hunter/Paladin because they lack early game board clear which is essential to keeping them alive into the late game. Control Priest has one of the best board clears in the game in the form of Duskbreaker. This card is a four mana cost Dragon that deals three damage to all other minions as long as you have a Dragon in your hand. Luckily for you Seto Kaiba fans out there, this deck is filled to the brim with Dragons. Victory with this deck comes after you play Alexstrasza and drop your opponent to 15 health with her effect. You’ll then want to play Shadowreaper Anduin and begin the classic Hero Power/Mind Blast combo to begin chunking down the remainder of your opponent’s health. If you enjoy playing Control but nothing seems to be working this expansion, it’s time to try out Priest. Even Shaman is a strange deck in a strange place this expansion. 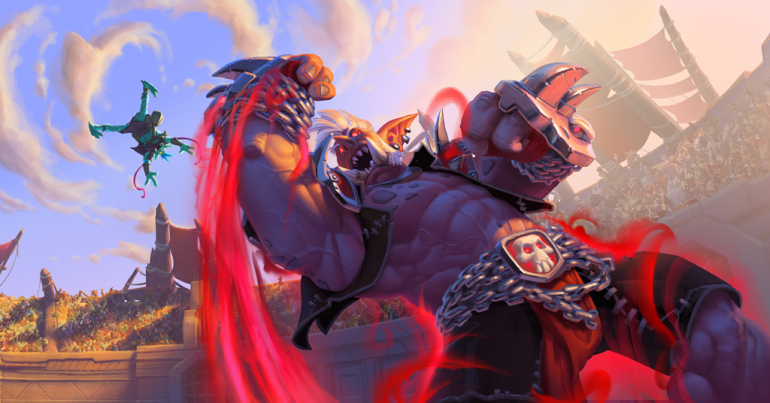 The deck uses Genn Greymane which means it will have a lower cost Hero Power. This allows you to summon a Totem on your first turn, and basically every turn after that. You’ll be running a host of low cost minions to buff up and fight alongside your totems. Things like Direwolf Alpha and Flametongue Totem can transform your other Totems into decent damage dealing minions. Most of the time, your opponent won’t be focussed on wiping your totems because they don’t expect them to do anything besides exist on your side of the board. By the time they realize you’re in the process of buffing those totems, usually you’ve already been able to deal some serious damage to their health. Part of the reason Even Shaman is on this list is because it doesn’t have a bad match-up in the meta currently. Though the deck is not as strong as Hunter or Paladin from an aggro stand-point, it has enough Control elements tossed in that it still performs decent against these decks. While Even Shaman is essentially the only playable Shaman deck right now, it’s still incredibly fun and incredibly viable. If you’re a Shaman player who is bummed about the Shudderwock changes from December, swap over to Even Shaman and give it a serious try.